How does furosemide affect blood glucose level? QUESTION: How does furosemide affect blood glucose level? Does it lower or increase glucose levels? If I am diabetic, can I still take it? 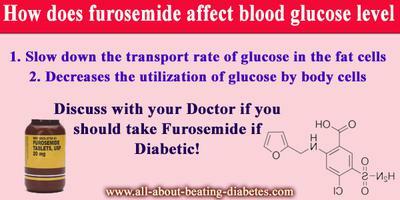 ANSWER: Furosemide, as an adverse effect, causes an increase in the blood glucose level, which is called hyperglycemia. Through slowing down the glucose transportation rate in the fat cells. In the muscles, it adversely effects the processes that utilize glucose like glycolysis and phosphorylation. In other words, furosemide decreases the utilization of the glucose in the body, which results in high blood glucose levels. If it is necessary that you should take furosemide and your doctor (who knows your health condition) has prescribed it to you; then, it is a must that you follow your doctor's advice. However, if you face any side effects, stop taking it and report to the doctor. Do you have to take metformin? Concern: Do you have to take metformin? What happens to your system if you don't? I don't have any problem with food as such because i check for sugar content. That said if you buy any bread from a supermarket bakery, there is no labeling as to content of sugar or fat? Well this is England, but you can ask for the information sheet on that product, you have to ask because if you don't, you don't get it. I found out bread at asda has appx 28grams of sugar per loaf, when i asked for the content sheet they could not come up with one for loafs of bread they only came up with one sheet for rolls. After eplaining it is esecial for diabetics to know, they sent someone to check on the mix label and came up 28g for the grannary loaf . On the subject of sugar control I found that when my level went down to 4 or 5, as suggested to be ideal, my system just wants to sleep. I just have to lay down and sleep ,so i try to keep it at to at least 6 to 7 then im ok, so called health profeshionls seem to think that one size fits all its plainly not the case . With doctors getting the budget for our health care and the government shutting down the NHS and selling it off you will find that doctors are telling patients that they dont need to monitor their sugar levels as the NHS check it EVERY 3 MONTHS! Of course you could you could be seriously ill or die in 3 MONTHS , I had to insist on getting my test strips on prescription, how else could I have found out that unlabeled products could harm me along with fruit and other unlabeled products. Alba's Recommendations: Hi oobuc5. To be frank, I did not realize what you really wanted; however, I am trying to give some recommendations below based on what I understood. 1. 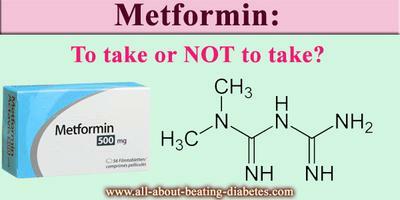 You are asking if to take Metformin whether not. Well, it depends on your health conditions. As you experiencing frequent low blood sugar levels (reaching ideal level, which you cannot stand); therefore, you need to lower the Metformin dosage. I cannot recommend what is the best dose for you; discuss your concerns with your doctor as he/she knows better your medical history. What you can do is to record all your blood sugar levels for (let's say) 5 or 7 consequtive days, put them in a log book and show them to your doctor. This is to make you easier explaining your situation to your doctor for him/her judge better on the dose of Metformin you are taking. 2. If you are not a diabetic, and not taking any drug; then, keep on asking about the nutritional facts of every packed food you buy to keep diabetes at a bay. 3. If you are healthy, and are afraid of getting diabetes; just do a regular check-up once a year. In case you are at risk (have family history, are overweight, etc); then you can perform the check-up twice a year. Does metformin induce yeast infection?. Is metformin the cause of my weakness?. Can metformin cause hair loss?. 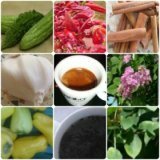 What happens if I replace Glucophage with karela?. QUESTION: My relative is using Nasonex especially during spring time. His doctor has noticed some changes in his blood sugar, and is concerned as doubts diabetes. Can you give more details on how nasonex and blood sugar level are related? Thank you. 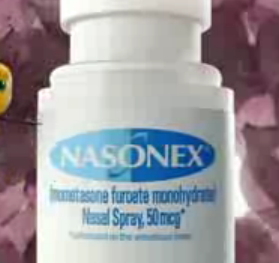 Nasonex is a nasal spray used to reduce the symptoms of allergy. All drugs used for that purpose are analogs of glucocorticoid steroids. That means that they have almost the same chemical structure as glucocorticoid hormones and they are causing the same effects on the body. Glucocorticoid steroids are some of the most important hormones in the human body. They are regulating almost every process in the organism. The lack or the excess in their amounts are characterized by specific medical conditions. Regarding the blood glucose, these hormones are increasing the amount of glucose in the plasma by enhancing the hydrolysis of glycogen. As you probably know, glycogen is a polymer of glucose, which is stored mainly in the liver. Another effect of glucocorticoid steroids is to inhibit the secretion of insulin, which is stimulating the elevation of the blood glucose level. So, the major effect of glucocorticoid steroids is to increase the blood glucose level and in that way, they are acting as contra-insulin hormones. Now, there is normal secretion of those hormones in the organism. When you are taking Nasonex, you are increasing the amount of glucocorticoid hormones. That is causing elevation of the blood glucose level. A healthy organism is capable to handle this elevation and to return the blood glucose in normal values. There is a complex regulation, which is capable to reduce the effect of the additional amount of glucocorticoid hormones. But, if you are suffering from diabetes or have high risk to develop it, your organism is not capable to handle with the effect of those hormones. That is the reason why the usage of glucocorticoid hormones in diabetics is causing hyperglycemia (condition characterized by increased glucose level). As you may know this condition is causing severe damages to the organism and for that reason the usage of Nasonex and glucocorticoid hormones is forbidden. However, you should consult your doctor for the best decision made.